Wolfenstein 2 - Which Contraption Should You Choose? Blazkowicz is about to get some upgrades, but which Contraption should you choose? 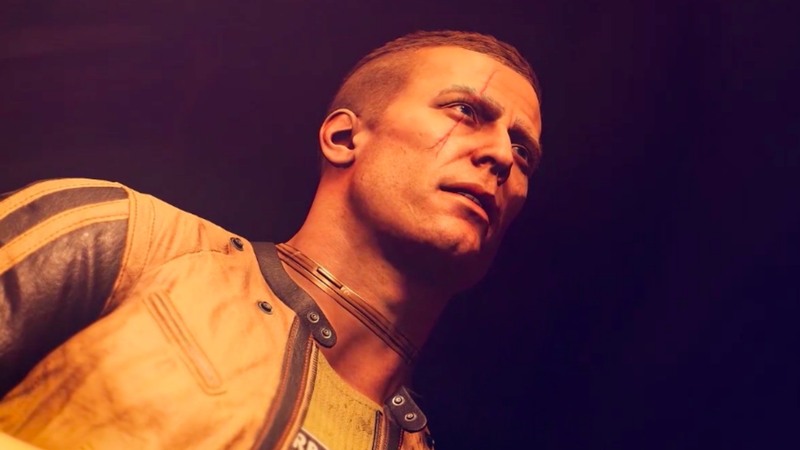 At a certain point of the campaign in Wolfenstein 2: The New Colossus, interesting things will happen, and players will be asked to choose which Contraption they would like to give William “B.J.” Blazkowicz. Since you can choose only one and can’t take it back, it’s an important choice. Each one has benefits that you need to consider when paired with your play style. The Constrictor Harness will compress your torso and allow you to squeeze through gaps and pipes that would be impossible for a man the size of Blazkowicz. It activates automatically if you are crouched and approach such an area. The drawback is that you can’t breathe in the Constrictor Harness, so you can’t stay in these tight areas for long. Luckily, the amount of time you can have the Constrictor Harness active is plenty so long as you’re not already near death. Because this is the stealth Contraption, stealth players should go for this. It’s the one I personally chose, and it allows you to sneak into rooms through vents and pipes, or crawl under vehicles and perform melee attacks on guards standing on the other side. This Contraption will open more stealth opportunities than you had previously. The Ram Shackles look like shoulder pads from hockey or football, which is fitting because those sports are good examples of what the Ram Shackles can do. Activated when you sprint, the Ram Shackles allow you to break down certain doors, bust open crates, and tackle your enemies in brutal fashion. It also allows you to throw your Hatchet or chosen grenade with extreme velocity, which should make aiming it a little easier. Players who can’t be bothered with stealth and just want to crush their foes in hellish battle should choose the Ram Shackles. They are designed for the impatient gamer who likes nothing more than kicking the door in to announce their presence. Literally. You get stilts. When activated, you will have access to high areas that you couldn’t reach before. The height will protect you from mines and explosions on the ground, and you can perform melee attacks from above. Beyond that, you get some benefits to your health with the Battle Walkers. It’s tough for me to argue for the Battle Walkers because I can’t see how they would be better than either the Ram Shackles or Constrictor Harness. Both of those do well in representing the stealth and mayhem style of play, so you’d be going Battle Walkers just to reach things up high. Maybe it’s just an odd Contraption for my style of play, but I’d save the Battle Walkers for a second or third run through Wolfenstein 2. Regardless of whether you choose the Constrictor Harness, Ram Shackles or Battle Walkers, you won’t be missing out on much. In the time I’ve spent testing these, each area seems to have uses for all three. For example, I came across a room that had three ways it could be entered. Each Contraption was used to take advantage of a single way. With the Constrictor Harness, I went through a vent. Alternatively, the Ram Shackles could have been used to break down the door, and the Battle Walkers to climb on the roof and drop in. The Contraption you choose should be based on your style of play, not a fear of missing out if you make the wrong choice. Now that you have a better idea of which Contraption you should choose, be sure to visit the Shacknews Wolfenstein 2: The New Colossus walkthrough and guide.